Alex M. Azar II is an attorney, former pharmaceutical company executive and Department of Health and Human Services (HHS) veteran. Having clerked for conservative judges including Antonin Scalia and worked for President George W. Bush, Azar has been well-connected in conservative circles for decades. While serving as Governor of Indiana, now-VP Mike Pence even considered replacing his first lieutenant governor with Azar. At HHS, Azar has been most infamous for how his department has handled the thousands of immigrant children separated from their parents by the Trump administration, hundreds of whom have yet to be returned to their parents. Azar leads the Department of Health and Human Services (HHS), the federal government department responsible for programs integral to country’s health and well-being, including ensuring access to birth control for low-income people, protecting the civil rights of those seeking health care, processing new drugs for approval and administering the Affordable Care Act among other federal health care programs — areas that have been continuously targeted by HHS while Azar has been secretary. During his tenure, Azar has continued to empower and promote anti-abortion ideologues who have been appointed to HHS purely for their political stances and who consistently attack the very programs they have been installed to administer. While working as an executive at the Indiana-based pharmaceutical company Eli Lilly, Azar became a close advisor and key campaign contributor to then-Governor Mike Pence, who has been dubbed “one of the most anti-abortion Republicans in Washington.” John Hammond, an Indiana Republication National Committee member, remarked that, “Alex was one of a handful of people Pence would consult on a regular basis,” and Pence even considered Azar for the position of lieutenant governor. The Washington Post reported that Pence played “a big role” in recommending Azar to Trump for the HHS secretary job. In 1991, now-US Supreme Court justice Brett Kavanaugh replaced Azar when he departed a clerkship for Judge Alex Kozinski’s after a mere six weeks. Kozinski has since resigned following rampant allegations of sexual misconduct. “Azar’s social circle at the time included Kavanaugh, who he has called a good friend.” Later, Azar and Kavanaugh worked together for Ken Starr in the Clinton-focused Whitewater investigation. Years later, Kavanaugh dissented from a D.C. circuit court opinion that allowed a 17-year-old young woman in HHS custody to obtain an abortion. Azar’s Appointment To HHS Was Heralded By Anti-Abortion Activists. Azar Backed An HHS Official Who Was Preventing Women In HHS Care From Accessing Necessary Reproductive Health Care And Endangering Young Migrant Children. Azar Continued To Stand By Lloyd Despite Numerous Calls From Elected Officials For Lloyd To Leave The Department. …Instead Of Firing Lloyd For His Incompetence, Azar Simply Reassigned Him To A Different Department. …And Promoted An Abstinence-Only Advocate With No Previous Government Experience To Oversee The Nation’s Only Family Planning Program. Azar’s HHS Issued Rules To Roll Back Insurance Coverage For Birth Control. …And In November 2018, Azar’s HHS Proposed A Rule To Rollback Access To Abortion For Low Income Women. …Which Came Just Days After Anti-Abortion Activists Penned An Op-Ed Asking HHS To Issue This Rule. Azar Seems To Be Putting Politics Ahead Of Vital Public Health Research And Medical Science. …A Move That Has Been Condemned By Medical Groups For Being Harmful To “Public Health." Azar Is A Long-Time Donor And Supporter Of Abortion Objectors And Anti-Choice Sentiments. …Azar Refused To Speak Out When Kavanaugh’s Confirmation To The Supreme Court Was Mired By Allegations Of Sexual Assault Against Him. As A Judge, Kavanaugh Has Caved To Anti-Abortion Activists, Including In A High Profile Case Against HHS. The HHS Secretary Paid A Last-Minute Visit To The “Pro-Life Con” At The Family Research Council — A Southern Poverty Law Center Designated Hate Group — On January 18, 2019. In His Remarks, Azar Spoke To His Department’s Coziness With The White House. 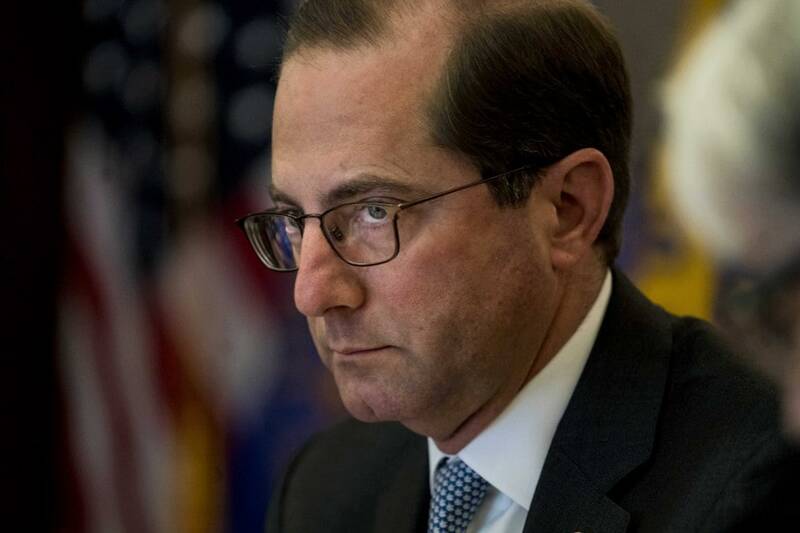 …Azar Continued To Say That HHS’ Mission Is To Protect The Health Of All Americans — Despite His Department’s Policies Consistently Devaluing And Endangering The Health Of Women, Low-Income Americans, LGBTQ Folks, And Immigrants. Azar Spoke Proudly Of HHS’ Office Of Global Affairs’ Work To Impinge On Women’s Reproductive Rights Globally. Azar Lauded HHS’ Work To Roll Back The ACA’s Birth Control Mandate Through Religious And Moral Exemptions That A Federal Judge Blocked In January 2019.